The club’s Thomas McBride has been awarded a place by Cricket Scotland on the Cricket Performance Course at Telford College in Edinburgh. The programme offers some of Scotland’s best young players the opportunity to train full-time while remaining in further education. He joined the other five other full time and two part-time attendees when the course started last week. They include recent Scotland internationals Matthew Parker and Marc Petrie, who kept wicket against Australia two weeks ago. He also joins some of Scotland’s aspiring skiers and rugby players as they attend the corresponding performance courses for their respective sports. 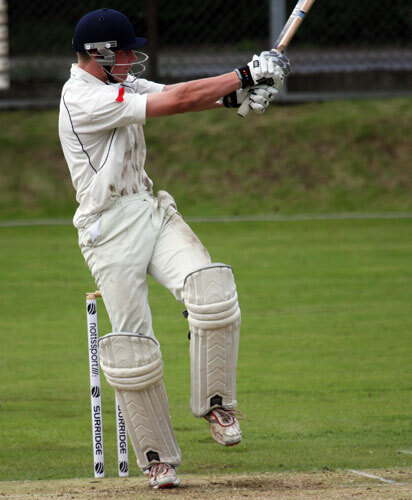 McBride, who played for Scotland U17s and Scotland U19s this year, will receive skills and fitness training and course work in sports science together with a cricketing placement overseas. Last January the group spent three months training and playing in Australia. The likely destination this year is India or Australia. The former Lockerbie Academy pupil, who was first introduced to the sport thanks to one of the junior cricket taster sessions run by the Dumfries and Galloway Council’s Sports and Leisure Department, has an exciting ‘off-season’ in prospect.